Can you believe it’s November already? As it turns out, my holiday from blogging was actually quite extended! As a result, I’ve got a backlog of fun things I want to talk about, and one of those fun things is a long-awaited favourites post which covers four months of fun things I’ve enjoyed which I haven’t written about on the internet. When it comes down to it, that’s a lot less films than I would normally watch across four months. Makes sense, since during this time I did watch all of Seinfeld and Summer Heights High (love it – always a classic), and every single season of RuPaul’s Drag Race: Untucked. It’s probably not a complete list of films. But it’s been a nice spread of genres to watch. I particularly enjoyed getting back into the Italian horror giallo genre by watching the classic Torso. 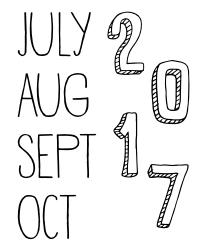 Without further ado, here is a selection of the most amazing things I’ve enjoyed across the months of July, August, September and October 2017. It’s a small list, so you know it’s the good stuff. 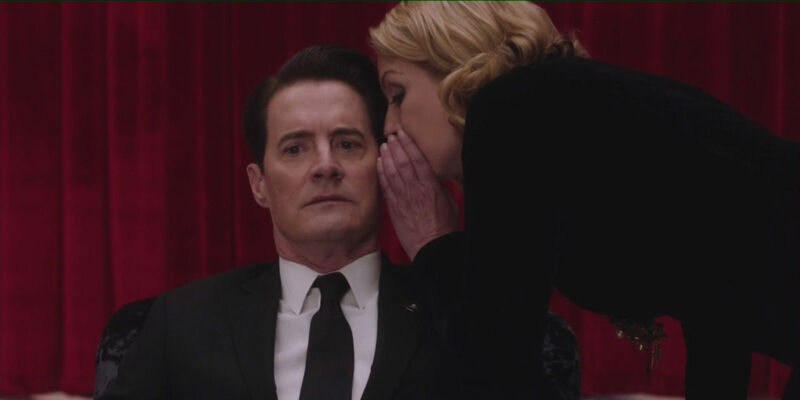 The third and maybe not final season of Twin Peaks concluded in September, and a brand new hole was left in my heart, potentially never to be filled again. I can’t put into words how much I loved the new Twin Peaks. Being an insanely passionate fan of the original series helped, as did being a fan of both David Lynch’s craziness and generally surreal cinema and pop culture. Otherwise, I think I may have found it a bit tedious. But I didn’t – it was the absolute best, from the tidbits we learned about the old characters’ new lives, to Cooper’s alter egos Dougie and Mr C (aka Bad Cooper, aka Booper), there were so many memorable moments and times when I literally jumped for joy. Sheer perfection. I can’t speak to its rewatch value, as I haven’t embarked on a rewatch yet. But I hope to soon. Excellent job, David Lynch and Mark Frost. I think Kingsman was my favourite non-2017 film I watched across the months of July, August, September and October. I actually can’t believe how long it’s taken me to watch it. I was hooked from the get-go, and the scene with Colin Firth in the church was mindblowing. I’ve heard mixed reviews about the recently released sequel, but I’m intrigued to see it, mostly to see if it matches the quality of this one. 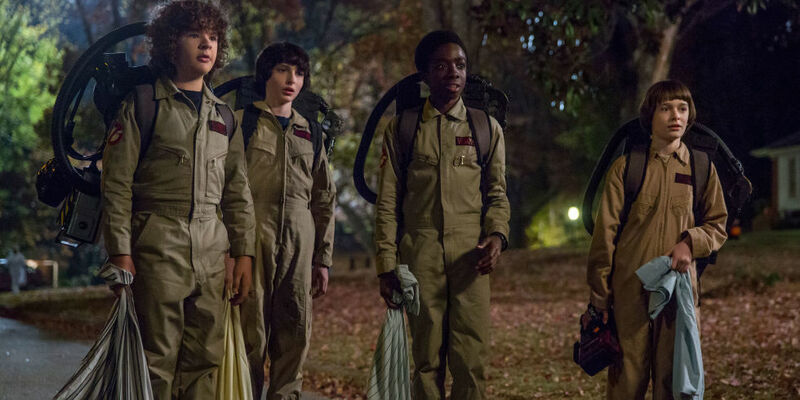 New Stranger Things was released in late October, just in time for spoopy Halloween. I’m only a couple of episodes in, but I’m absolutely loving it and am happy to report that it’s a fine return to form for the series. No spoilers please, as I’m still working my way through! But given how addictive the show is, I’m sure to finish all the episodes in no time. The cast was finally revealed for the new season of RuPaul’s Drag Race All Stars! The rumour was that there will be 12 queens competing, but all the promos are showing nine… interesting. The show is set to premiere in 2018, but whether that’s early or late 2018 remains to be seen. I’m all for Trixie Mattel this time around, but I’m also happy to see Milk on board. Super exciting! 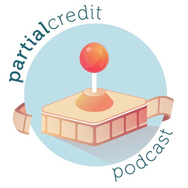 My buddies Cameron and Jeremy and I have been keeping on with our podcast, Partial Credit. If you want to listen to us ranting and raving about mother! (2017) and It (2017), then have a listen to the podcast above. It may contain a whole bunch of swearing. We really tried not to be spoiler-y about the strangeness of mother!, so beware! I think that’s just about it for my very selective favourites across the months of July, August, September and October 2017! What have you been enjoying recently? Any films I should check out, or anything else you think I might enjoy reading? Let me know in the comments below! A great, eclectic list of films – and a strange time to be a movie lover, as it seems the industry is struggling to find consistency…that said, a couple of classics, a few huge mistakes, and too much in between! Thanks John! Yeah, it’s been a strange couple of months recently!